I wrote PicoMeasure to make it easy for me to create measurement data that I could readily export to Excel**, GnuPlot or similar programs. I primarily use it for creating bode plots. (yes I know the Picoscope software can do this). I do a 3rd octave sweep using 31 separate accurately recorded wav files of 10 seconds in length, which I got from the Bink Audio Test CD. I play these back using FooBar2000, and then capture at timed intervals. I am currently using a Tapco Link.FireWire 4x6 Audio Interface along with AudioTester for measurements made via my PC. I use my PicoScope and PicoMeasure when the Tapco hardware is unable to measure high enough frequencies. All output from PicoMeasure is automatically converted to units - e.g. kHz to Hz, mV to Volts etc. I have also written an application to graph the output from PicoMeasure - GraphTool can be downloaded here. You can also use the graph tool of your choice to process the output from PicoMeasure - this is my GnuPlot script. This script accepts two parameters, the input filename, and the name you want to assign to the graph. You can see the last plot command I used below, and you just need to change your input file details accordingly. plot 'C:\scope-temp\0_test\tda1541mk2.txt' u 1:2 w l ls 1 t "tda1541"
So this gives me a 'poor mans' bode plot! I have verified the output using an audio milllivoltmeter and a manual plot (time comsuming!). This is the script I wrote to normalise and filter the output to two columns, frequency and dBu. This script parses all .txt files in the given directory, and then outputs a single file, the name of which you give on the command line. Credit for the awk script below goes to Stack Overflow contributors. to adjust the timebase to maintain at least 3 full cycles of the waveform during the measurement process, to maintain measurement accuracy. 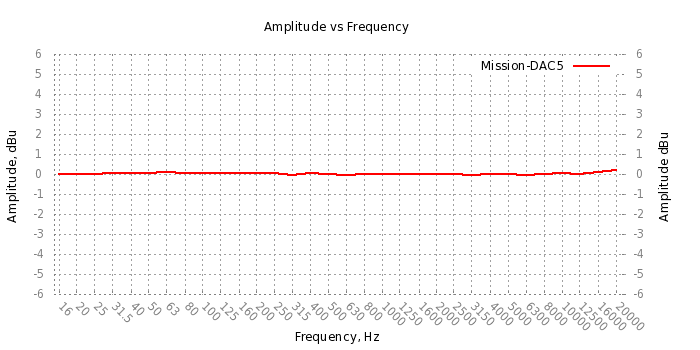 My Owon SDS5032E suffers the same issue - as less of the full waveform displayed, so the RMS voltage decreases. has an automatic timebase facility, while the PicoScope (the 2204A at least) does not.